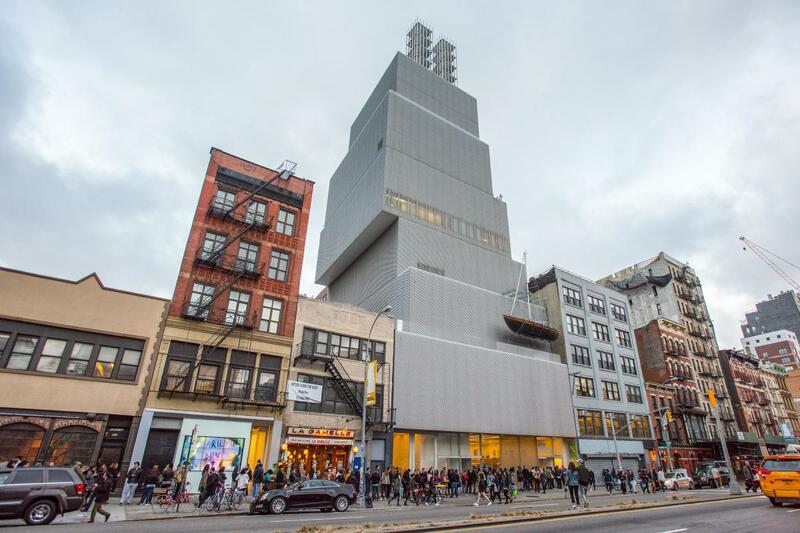 The first and only contemporary art museum in New York City, founded in 1977, features striking exhibits in its state-of-the-art facility. Student discount. Group tours. Suggested admission. Closed Mon., Tues. New Museum's iconic building offers the opportunity to entertain in the setting of a cutting edge contemporary art museum. The Skyroom provides stunning skyline views. Function rooms, 3; capacity 180 theater, 120 banquet, 300 cocktails, 120 classroom; total 4,569 sq. ft.